There would be a DART (Dublin Area Rapid Transit) type railway service for Galway between Ceannt Station and Athenry. 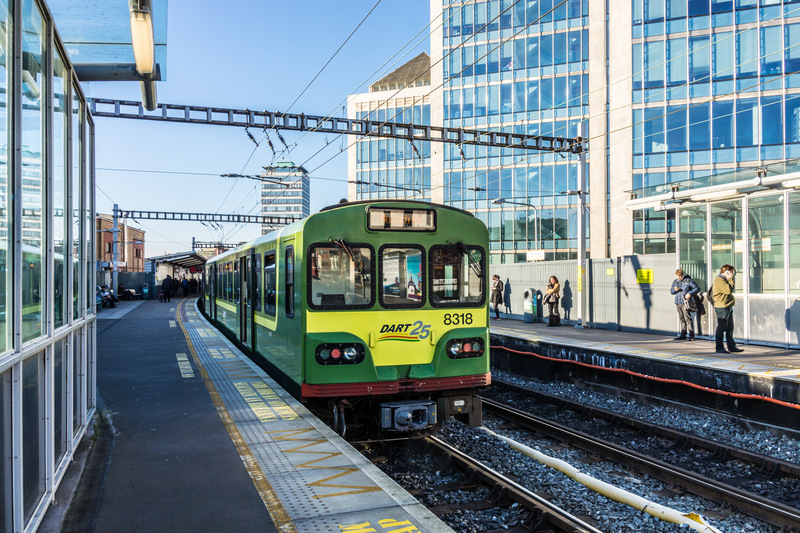 The DART is a very successful suburban rail service that serves many school, college and work commuters in the greater Dublin area and outlying towns. There is a similar service in Cork (connecting Mallow, Cobh and Midleton with Cork City). A new suburban rail service in Galway would use the existing Dublin to Galway line. Existing stations at Athenry and Oranmore would be used but new stations would also need to be built. New housing development would occur along the rail line so as to encourage the use of the train instead of the car for journeys into the city centre. New stations would be located so as to be within walking distance of existing suburbs and new housing. Possible locations for stations include: Renmore Barracks, Ballyloughane, Murrough, Roscam and Oranbeg.